“Material handling” is essentially a broad term describing movement, protection, storage, and control of materials in a warehouse setting. This involves a wide range of equipment and processes, some of which are manual and some of which are automated. 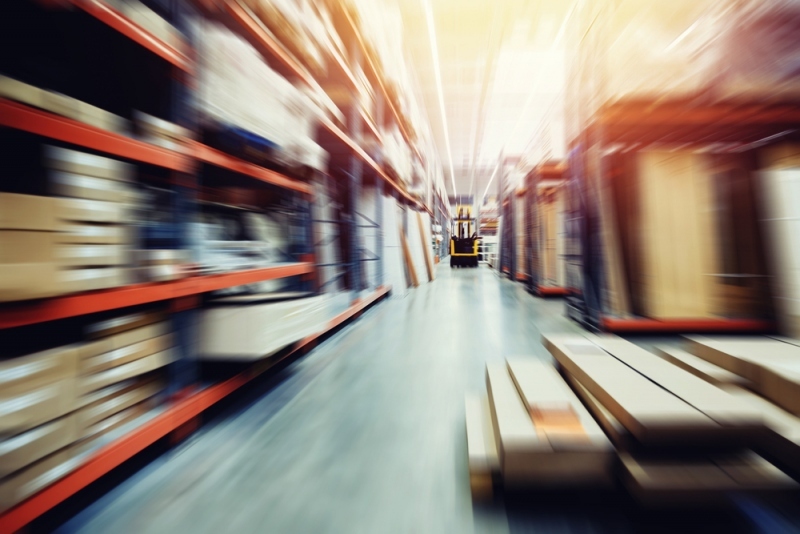 Standard material handling procedures have a number of purposes such as shortening delivery time of products, lowering costs in handling, ensuring efficient customer service, and keeping inventory on schedule. Full regulations of all aspects of material handling are dictated by OSHA, but the bare basics of material handling can be broken down into a few categories. Material handling requires that basic principles be followed, because technically every minute used on this process is lost productivity. The workplace must establish procedures to cut down on excess movement to boost efficiency. Evaluating the goals of your material handling process and aligning them to strict guidelines will help each part of the process work as a unified system. The following is a simplified version of the best material handling principles. The initial step in any process is to define a plan that identifies the goals of the organization and identifies how to most effectively achieve those goals. Once these methods are determined, they should be standardized and simplified. Eliminate any excess movement or redundancies and ensure methods are consistent without sacrificing results. Once the movement process is properly established, materials should be systematically moved in such a way that maximizes space and transports as many items in a single movement as possible. Once all methods have been established and simplified, the next step is to use automation as much as possible. This will free up workers for more productive tasks. Beyond this, it’s important to keep costs and environmental impact in mind at all times. Following these principles should keep an efficient system working. The previous principles apply to all material handling but one should be particularly careful when handling materials manually, because this is the leading cause of worker fatigue and injury. Plenty of risks are associated with manual lifting, but the most common are cuts, bruises, back injuries, and unforeseen accidents. Accidents will, of course, always be more common in hazardous conditions, like when surfaces are slippery or when one is close to the edge of a surface. Other hazards in manual movement include handling a products that is too heavy, moving a container that is too large to see where you’re going, working at extreme temperatures, and uneven surfaces. It’s imperative to eliminate these unnecessary risks whenever possible. If a machine can do the work, let it. This the handling of materials through the use of forklifts, hoist containers, and other heavy duty equipment that can be acquired from a vendor of material handling equipment in New Jersey or other states. This is the type of material handling most people probably picture when thinking of a warehouse environment. It’s impossible to overstate the impact these machines have had on the manufacturing process. Rough terrain forklifts can excel in virtually any conditions to support day-to-day operations in all industries. Warehouse burden carriers make storage of materials more convenient than ever. Many industrial lifts are also able to be fitted with a variety of attachments, making them appropriate for nearly any job. For example, the same lift that moves shipping containers at one job site could be fitted with a digging attachment that could help build a foundation at another. Obviously, while these machines have made work easier and generally reduce injuries, extreme caution is still required for operation. All operators must be sufficiently trained and follow protocol to reduce chances of incidents. Aside from the causes of injury already mentioned, forklift crashes are a leading cause of warehouse incidents. These can be combined with structural damage that can cause collapses. In addition to enforcing proper use of equipment, work sites should be equipped with infrastructure that can withstand potential harm, such as some sturdy custom steel stairs and walkways to ensure safety.